I have been asked a lot recently about FusionHub trials and evaluations and the best way for customers to test SpeedFusion bonding from their multi-cellular and multi-WAN devices. 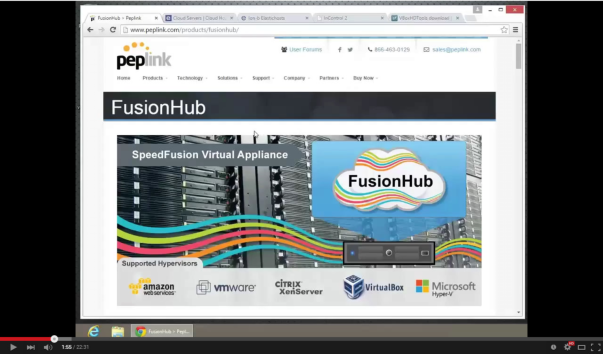 As a standard Virtual Machine, FusionHub is really easy to deploy on your virtualization platform locally (be that Virtualbox on your PC, or on Vmware, Hyper V or XenServer running on a physical server appliance), but what if you want to perform a real world test using your locally available connectivity (your DSL, LTE and whatever other local internet links you might have), and so need it hosted in the cloud somewhere? Obviously there are loads of cloud hosting providers out there that you could try, but not all of them support custom disk images and the configuration Fusionhub needs as most are geared up for straight forward web hosting. Those that are more advanced can have overwhelming interfaces chock full of features for building private and hybrid clouds but perhaps a little too complicated for most of us to work out. 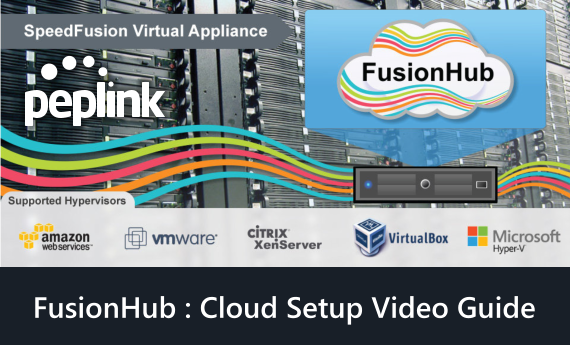 I have spent a moment or two evaluating and shortlisting the easiest to use hosting providers that I can find which will also support a FusionHub appliance, and in the video below I show you how to deploy FusionHub to one of these for test purposes. Check it out. The hypervisor in use in this tutorial is not currently officially supported by Peplink, so although fine for testing and evaluation purposes, I would recommend you move to a supported platform for production deployments. In the video I do a quick and dirty install and VPN configuration – again fine for testing quickly, but if you plan on leaving FusionHub powered on you should change the admin username and password away from the default and set the web ui access on the WAN access to HTTPS only (In System -> Admin Security). I don’t use a preshared key in the PepVPN configuration (for speed purposes) however this is recommended for production deployments as an extra level of security. Any reason I couldn’t run the FusionHub image as a Virtualbox guest running on a Debian machine in a VPS? Hi Vincent, no reason that shouldn’t work that I can think of. Let me know how you get on!